Add freshness to your morning routine. Here’s Something You Can Jam To! 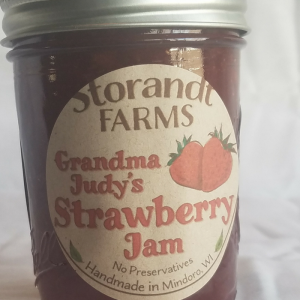 Storandt Farms jam began in grandma’s kitchen over 30 years ago. The process ever since: pick the best berries, trim them, and produce the best small batch jam and jelly around. 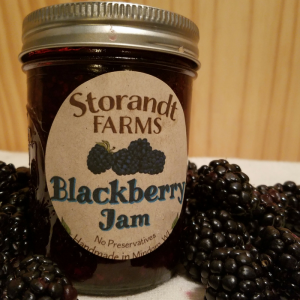 Storandt Farms’ Blackberry Jam is perfect as jam, on ice cream, and in your favorite cobbler. 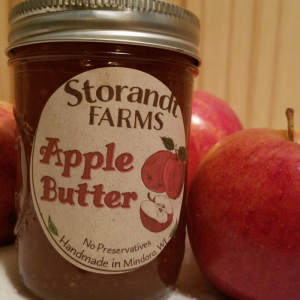 Apple Butter from Storandt Farms is made with fresh hand picked apples, mashed and mixed with the perfect blend of spices and sugar. Customers have recommended eating it on ice cream or cinnamon raisin toast. 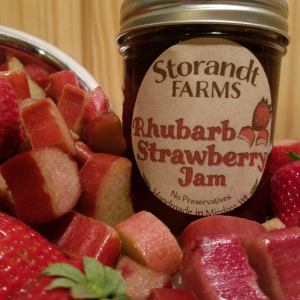 Rhubarb Strawberry Jam from Storandt Farms has a perfect balance of tart and sweet flavors. It’s great as a jam, an ice cream topping, or to use in baking your favorite cobbler. 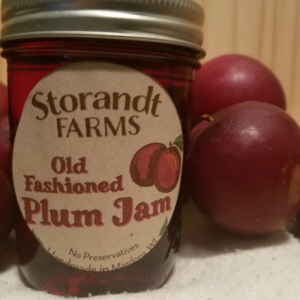 Old Fashioned Plum Jam at Storandt Farms is made by finely chopping and cooking the plums properly before turning them into jam. Customers have recommended heating some up and topping your pancakes. 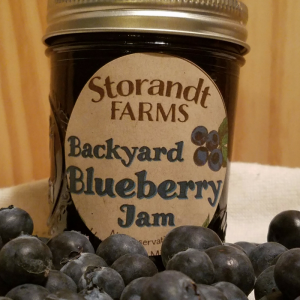 Try the Backyard Blueberry Jam from Storandt Farms. It’s great as a jam, an ice cream topping, or to use in baking your favorite cobbler. 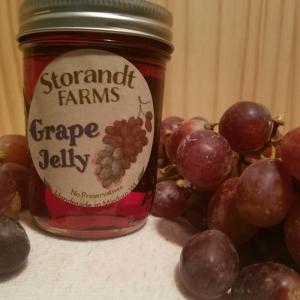 Grape Jelly at Storandt Farms is made by straining the fruit juice twice for a clear and pure flavor. Kids love our grape jelly! 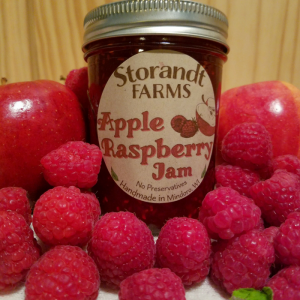 Apple Raspberry Jam from Storandt Farms is made from fresh, hand picked apples, mashed and mixed with the perfect blend of raspberries for a unique new flavor. Customers have recommended eating it on ice cream or cheesecake. 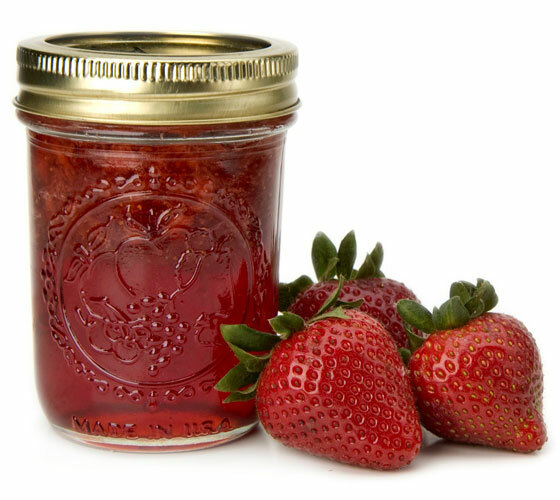 Grandma Judy’s signature Strawberry Jam is deliciously sweet and full of love. It’s great as a jam, an ice cream topping, or to use in baking your favorite cobbler. 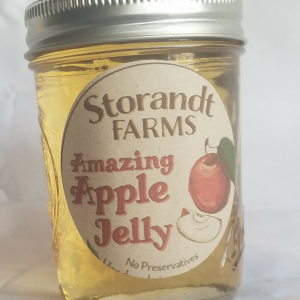 Storandt Farms makes our Amazing Apple Jelly by using hand picked apples and straining the juice twice for a strong fruit flavor. Customers have recommended heating some up and topping your pancakes. 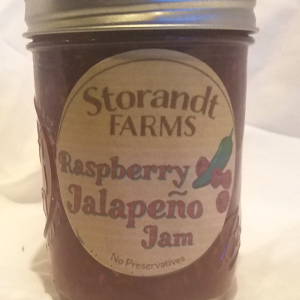 Sweet and spicy flavors come together in delicious harmony in Storandt Farms’ Raspberry Jalapeno Jam. It’s also great to use as a gourmet dipping sauce. 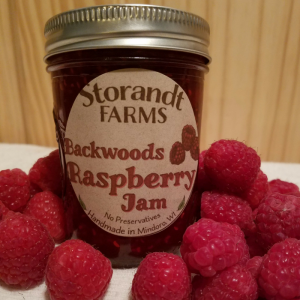 Backwoods Raspberry Jam at Storandt Farms is made from a mixture of wild and domestic raspberries. Customers have recommended heating some up and topping your pancakes, or mixing with a little balsamic vinegar and spices for a yummy dressing. 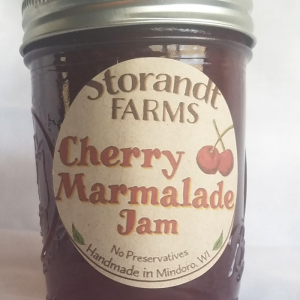 Try Storandt Farm’s Cherry Marmalade Jam, it is bursting with fresh cherry flavor. 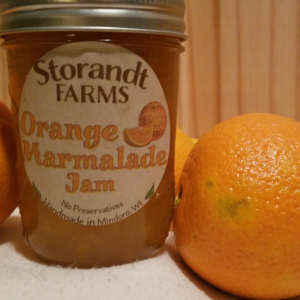 Try Storandt Farms Orange Marmalade for a great citrus burst of flavor. 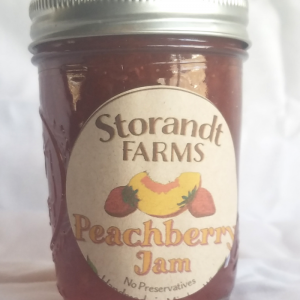 Storandt Farms Peachberry Jam is a signature blend of peach and strawberry flavor. It is great as a jam, an ice cream topping, or to use in baking your favorite cobbler. 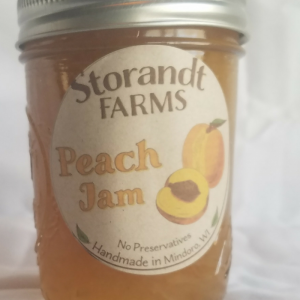 Storandt Farms’ Peach Jam is filled with sweet tangy fruit flavors. It’s great as a jam, an ice cream topping, or to use in baking your favorite cobbler. Customers have also recommended warming some up as a dipping sauce for picky kids with chicken strips. 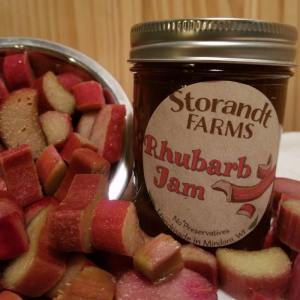 Rhubarb Jam from Storandt Farms is a great tart and sweet treat for any meal. It’s great as a jam, an ice cream topping, or to use in baking your favorite cobbler. 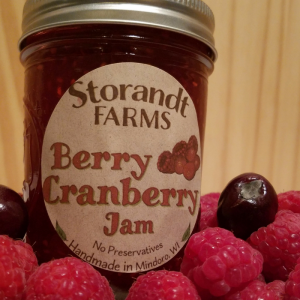 Berry Cranberry Jam from Storandt Farms is currently of limited availability. It will be available right before Cranfest (September) and sold until sold out. 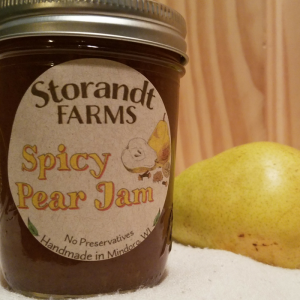 Try Storandt Farms Spicy Pear Jam for a sweet and spicy, unique flavor.